Sunil Kasturi leads with an iron fist in a velvet glove – with grace and compassion matched by a steely determination to get things done. A natural manager and peer counselor, he lives by the belief that he gets more out of helping others than they receive from him. The benefits, he finds, range from gaining a key piece of advice from someone he mentors to cultivating gratitude and empathy through his frequent volunteer work. As Managing Director for Propeller’s San Francisco office, Sunil drives results. He leverages his highly analytical mind while ensuring client satisfaction, developing business opportunities, and fostering and embodying the company’s culture. 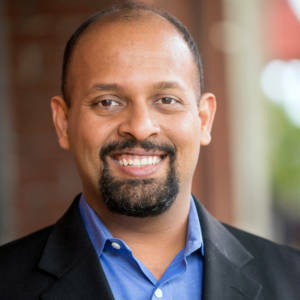 Sunil has more than 15 years of experience that includes roles leading high-profile projects at Microsoft, ACME Business Consulting and Intel, where his work in IP telephony earned a patent. He holds an MBA from Duke University, a master’s degree in computer science from the University of Iowa and a bachelor’s degree in mechanical engineering from India’s Birla Institute of Technology and Science.